Harvest Gold Memories: Can Al Jazeera America Improve Upon U.S. TV News Coverage? Can Al Jazeera America Improve Upon U.S. TV News Coverage? Starting Tuesday, August 20, 2013, there was a new startup in the American television news front, an operation which aims to deliver 14 hours of straight, live news everyday with correspondents in oft-overlooked corners of the country. The remainder of the day will include pre-recorded content such as what it describes as "hard-hitting" documentaries. "Don't look for coverage of Kim Kardashian, or courthouse camp-outs during high-profile trials. Instead of following the lead of Fox News, MSNBC and CNN — which have all played up crime coverage and punditry to increase ratings — Al Jazeera sees itself more as the NPR of the tube." On top of that, it will have fewer commercials than any other news channel (at least initially) on television. Unlike PBS and NPR, which are also both commercial-free media outlets and only partially funded by U.S. tax dollars (often to criticism of individuals with political views who claim those networks are biased against their views, see http://wny.cc/12iVsHa for details, even though in truth, both tend to adhere to the old-style journalism that tries to stick to the center and tell both sides — and both have seen public funding decline steadily over time to the point that neither can be truly be called publicly-funded), the new player has been called by some as the most ambitious American television news venture since Rupert Murdoch and Roger Ailes started the Fox News Channel in 1996. That new player is Al Jazeera America, which acquired Current television at the beginning of 2013. Al Jazeera America has hired hundreds of U.S.-based journalists and TV production staff, and has been very open about its hopes to win over a skeptical U.S. public. Only five of the country's biggest cable operators carried its predecessor Current, and one of them - AT&T U-Verse - dropped the channel before the switch to Al Jazeera America. Time Warner Cable, another of the country's largest cable delivery companies, publicly dropped Current TV upon Al Jazeera's acquisition, but has since resumed talks with Al Jazeera America, which is seen as a big sign of progress (although it hasn't signed yet). The New York Times described (see http://nyti.ms/17CoEsg) Al Jazeera America as "... the culmination of a long-held dream among the leaders of Qatar, the Middle Eastern emirate that already reaches most of the rest of the world with its Arabic- and English-language news channels. The new channel, created specifically for consumers in the United States, will join cable and satellite lineups on Tuesday afternoon." Al Jazeera is headquartered in Doha, Qatar, and is partially financed by the former emir of Qatar, Sheikh Hamad bin Khalifa, although Al Jazeera has its own management team and operates with a degree of independence not seen in most other news organizations based in that part of the world. The network did win global praise for its balanced, in-depth coverage of the Arab Spring. However, independently, the Qatari Royal Family has also been known to use its money to support various political outcomes in the Middle East; for example. Their support helped to fund uprisings in Syria and Libya. According to according to Bloomberg News, they have also lent $8 billion to Egypt since the ouster of president Hosni Mubarak. Yet their support has also received some criticism within the region, most recently in July 2013, when two dozen employees at Al Jazeera's network in Egypt resigned over what they characterized as the network's biased coverage of the Muslim Brotherhood. Israel has somewhat mixed opinions of the network. No one can deny that any kind of Arabic political discourse reflects a degree of anti-Semitism, yet any network which attempts to realistically cover the region must report that dialogue, without necessarily trying to advance a particular viewpoint. Its also worth noting that the network is widely-watched in Israel, and not just by Arab viewers. Still, the conversation in Al Jazeera's coverage about Israel and American foreign policy is different from our discourse in the U.S., which is not necessarily a bad thing. The channel's interim CEO, Ehab Al Shihabi spoke with APM/Marketplace's Kai Ryssdal at the Aspen Ideas Festival earlier in 2013 and said he believed that the channel's journalistic offerings would be something the American public will watch — and ultimately be willing to pay for. That transcript for that interview may be found at http://bit.ly/1d2BtTR. Al Shihabi told Marketplace "I am not entering the landscape of opinionated news. I am not entering the landscape of the infotainment. I'm entering a landscape which, in my opinion, doesn't exist, or it exists, but not in the level that the American audience deserve. So the idea here is we are entering for a market that consider underserved." There's no denying the network's brand carries a great deal of skepticism among many Americans. Right after the September 11, 2001 terrorist attacks, Al Jazeera made an editorial decision to broadcast messages from Osama bin Laden, which many observers felt was overtly anti-American, or at the very least, insensitive to the American audience, even if it was trying to present both sides of a major news story. That decision may prevent some viewers from ever tuning in. Still, Mr. Al Shihabi may well be onto something. "Curiosity will initially drive some viewers to the network," says Mohammed el-Nawawy, a communications professor at Queens University of Charlotte who has written about Al Jazeera's impact. Enticing them to stick around with 'a hard-news, serious approach' will be its biggest challenge," he says. Its entry into the U.S. comes at a precarious time in the cable industry, which is grappling with massive changes in technology and viewer behavior. Beset by stiff competition, dwindling advertising budgets and an accelerating pace of 'cord-cutting' viewers ditching cable, the cable news business has been struggling to hold onto viewers. Many of them are going to streaming services, such as Netflix and Hulu, and some are getting around costly cable fees by using cheap antennas for over-the-air signals." During the recent 2012 elections, the news coverage, even among perceived independent voices such as BBC America, was overwhelmingly partisan, leaving many Americans to wonder where all the objective news coverage had gone. 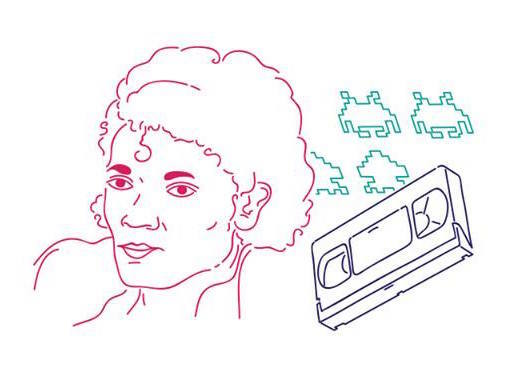 But whether the network can overcome the perception it developed as the media outlet Osama bin Laden turned to for coverage remains to be seen (although with him now dead, people’s collective memories may fade over time). "I am reminded of three other news organization launches in the U.S. that were transformative. One was the launch of CNN on June 1, 1980; the second was the launch of Bloomberg News in 1990; and the third was the launch of Politico in 2007." Interestingly, Mr. Myers did even not mention Fox news, in part, because Fox News actually has a very small news gathering organization (indeed, the Fox News' news-gathering organization is reportedly smaller than Al Jazeera America's is, which has a staff of 900, including 400 newsroom employees) while Fox News has focused more on political commentary and opinion. Fox News did prove to be very successful from a business standpoint, although its growth has stagnated in recent years. In July 2013, Fox News had 1.3 million viewers in prime time according to Nielsen data. However, co-founder Roger Ailes admitted to New York magazine (see http://nym.ag/iP5fuN) that while the strategy he developed proved brilliant from a business perspective, there were some signs that it had started to backfire in terms of the network's failure to embrace more central, mainstream perspectives, which in hindsight may have contributed to the Republican party's loss of the Presidential race in November 2012. For example, Fox News' ratings towards the end of George W. Bush's presidency had fallen by more than 30%, as viewers began tuning out when all the news on the network was overwhelmingly doom and gloom (aimed at advancing a particular political perspective). That part of the strategy proved to be unsuccessful, as the center held, with President Barack Obama being elected in 2008 and subsequently re-elected for a second term in 2012, while the makeup of Congress remained largely unchanged. Meanwhile, Fox has more recently tried to move a bit more to the center, letting controversial commentators such as Glenn Beck go (having proven to be too extreme for a network that relies on mass viewers and advertisers to pay its bills), though surveys show that a vast majority Americans still view Fox news as an outlet to advance the agenda of Republican party (incidentally, they see MSNBC doing the same for the Democratic party). The New York Times wrote (see http://nyti.ms/17CoEsg) that "Al Jazeera's approach - more time for more serious journalism - is an implicit criticism of the other options for news on television." While Current TV, before it was sold to Al Jazeera, did have some legitimate investigative reporting of the sort that Al Jazeera found valuable, it also veered into the opinion aspect targeting the political left, which isn't necessarily the content Al Jazeera is interested in. Examples of Current TV's coverage that is likely to continue include coverage of China's poaching of endangered tiger species around the world in order to make tiger wine, or an examination of the narcotics industry in America and elsewhere. That’s the type of coverage Al Jazeera America expects to do more of; which seldom gets much coverage in other media outlets. The network says it does not expect its focus to be primarily overseas coverage, which was the original plan for the network, which some see as an effort to appease skeptics, although much of the original evening’s coverage seemed very focused on current events in Syria and to a slightly lesser extent, Egypt. I got bored hearing about that after a half hour. The simple reality is that global coverage has much more limited appeal to an American audience, which can already get that sort of coverage from other providers like BBC (Britain), or CBC (Canada), so in order to succeed, the network must fully develop its American news content. At the moment, Al Jazeera America's overseers are trying to emphasize how much American news it will actually cover and how many domestic bureaus it will have. Al Jazeera America acknowledges it still has its challenges. Gaining carriage on cable remains a huge challenge, and that was a major reason it bought Current TV in the first place. Al Jazeera America will start in about 48 million of the country's roughly 100 million homes that subscribe to cable or satellite television. Still, gaining carriage on cable meant making some concessions which were difficult for Al Jazeera. Since U.S. cable distributors discourage their partners from giving programming away on the Internet, Al Jazeera will have to block American users from the live streams of its programming that tend to be popular in periods of tumult overseas, something it hasn't had to contend with in other markets where it operates. That could also prove difficult in luring a new generation of American viewers who no longer watch even news on actual televisions, but on tablet computers, mobile phones, game consoles, etc. However, that could evolve over time. Journalistic integrity is reportedly part of Al Jazeera's business plan, and having an American arm (and perspective) could indeed help the organization to be slightly less centered on the Arab perspective of the news, although only time will tell. "Viewers will see a news channel unlike the others, as our programming proves Al Jazeera America will air fact-based, unbiased and in-depth news," said Ehab Al Shihabi, the channel's acting chief executive, on a news conference call last week. He was explicit about what will be different, saying, "There will be less opinion, less yelling and fewer celebrity sightings." Mr. Al Shihabi and other Al Jazeera reps say proprietary research supports their assertions that American viewers want a PBS-like news channel 24 hours a day. Forbes blogged that Al Jazeera America could mean a return of more serious science, and medical TV reporting (see http://onforb.es/19LC23j for details), an area in which U.S. networks have de-volved into pseudo-science (like disputes over climate change, for example, something Fox news in particular has promoted, although other networks’ coverage of science and medicine is sorely lacking, too). To be sure, Al Jazeera still has competition in the space. The British Broadcasting Corporation continues to press for wider carriage of BBC World News in America, and its coverage is also more global in nature than U.S. networks' coverage generally is, although it has learned that American viewers have found limited interest in a majority of news coverage being outside the country, so BBC America's coverage has also evolved to deliver a slightly more American perspective on the news coverage than it does in its native broadcasts or elsewhere it does business. Most of Al Jazeera's news anchors have histories at one or more of the major American television networks. For example, Antonio Mora (a former "Good Morning America" news anchor who spent the last 10 years at local stations) will anchor a 10 p.m. talk show called "Consider This", and he said he had sensed far less commercial pressure at Al Jazeera America than at local stations where he had worked. "There's a sense here of the news being a public trust." That perspective could be a welcome addition to an industry which has come to rely on tactics of the sort that helped Fox gain a toehold in the space, even if journalistic integrity was thrown aside for its ratings. Other news anchors on Al Jazeera America (for its 2013 launch) include John Seigenthaler (the anchor of the weekend editions of "NBC Nightly News" until 2007), who had left the business and never expected to take another job in television until Al Jazeera came along, as well as Joie Chen (a CBS News correspondent until 2008) will be a part of the new network's team. In the end, however, exactly what role Al Jazeera will play in the increasingly-fragmented U.S. media market will likely determine how successful it will be. The network's aim to be a truly global news player practically requires it to have a place in the U.S. media market. Having a seemingly limitless financing from an oil- and gas-rich government in Qatar could prove to be an advantage, as long as it steers clear of going the Fox News/MSBNC route of less focus on the news and more on the opinion as coverage. Ratings will be a secondary concern for its Qatari backers, who have shown patience and seem to care more about prestige and influence than the bottom line says Mohammed el-Nawawy, a communications professor at Queens University of Charlotte who has written about Al Jazeera's impact. 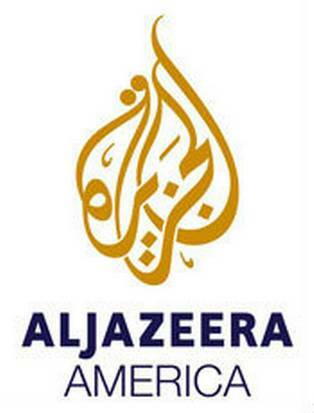 "The U.S. market has been the biggest challenge for Al Jazeera. There's national pride at stake here. And the emir (of Qatar) is taking this very seriously." For the moment, Al Jazeera America looks like it may offer an interesting perspective, and one which has potential to provide more objective U.S. political coverage than any existing news organizations do, which many believe is sorely lacking in TV news coverage in 2013. The new business objectives for the network has called for much more domestic coverage than Al Jazeera was originally planning. Based on the initial evening’s broadcast, my perspective was that more is probably still needed, with less coverage of Syria and Egypt but more coverage of East Asia or South America, for example. Whether Americans will ultimately tune-in remains to be seen, and exactly how long the Al Jazeera America network is willing to subsidize such journalism also remains to be seen, but the new owners' apparent patience could prove to be a virtue. Author P.S., January 13, 2016: Al Jazeera America (AJAM) announced (see http://nyti.ms/1Rm1EIK for more) that it would shutter its U.S. cable TV and digital operations by April 30, 2016. The Arabian media network struggled to gain TV ratings in the U.S., dogged with a brand-name more often associated with terrorists given that the late Osama bin Laden previously spoke with the network semi-regularly. Despite those struggles, the newcomer network was quickly and repeatedly recognized by its industry peers for the excellence of its journalism. Within months of launching, AJAM began collecting a number of prestigious journalism prizes (few of which rival Fox News has EVER earned) — from Peabody, Emmy, Gracie, Eppy and DuPont awards to a Shorty Award, for best Twitter newsfeed, and Newswomen's Club of New York's Front Page awards and citations from groups such as the National Association of Black Journalists and the Native American Journalism. During its brief time on the air, Al Jazeera America indeed produced some groundbreaking journalism, including a broadcast (yet still provocative) documentary about sports doping that linked NFL/Denver Broncos quarterback Peyton Manning's wife to shipments of human growth hormone. Naturally, Mr. Manning completely denied the allegations, calling AJAM an "illegitimate" news source, yet he offered absolutely nothing to refute the assertions, and the freelance journalist working for AJAM stood by her work. However, perhaps the global plunge in oil-prices had a bigger impact on the decision to ultimately abandon its efforts in the U.S. The Qatar-owned network could probably have subsidized its efforts to gain respect in the largest media market for a longer time if oil prices were still high, But thanks to fracking, U.S. oil output now rivals Saudi Arabia's, and dictatorships including Russia and Venezuela continue pumping oil because they are so dependent on the income derived from selling the precious commodity. As a result, global oil prices in early 2016 have plunged to levels not seen in years. As a results, the parent company, which is based in Qatar, has seen its fortunes decline with dropping oil prices, which made its ability to bankroll the U.S. expansion significantly more difficult. The organization has announced that it still plans to pursue its successful social media efforts, including its AJ+ effort.